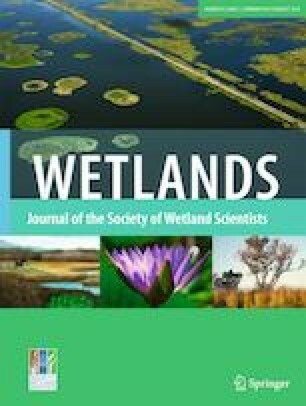 The recovery of wetland function after tidal flow restoration may be influenced by water pollution and sea level rise. Our objective was to examine the effects of tidal flow restoration on denitrification potential and carbon (C) mineralization across an urban coastal landscape. Soil cores were collected from 32 tidal wetlands in Connecticut, U.S.A., spanning a wide range of salinity (0.3–29 ppt) and watershed development (<1–79%). In brackish wetlands, denitrification potential increased with time since restoration, while C mineralization showed no significant relationship. Soil chemistry was also a strong predictor of process rates; best fit multiple linear regression models for denitrification included both soil chemistry variables and time since restoration. Although principal components analysis revealed soil chemistry overlapped by wetland type (freshwater, saline, or brackish), process rates in freshwater versus brackish wetlands had different relationships with soil chemistry. In freshwater wetlands, denitrification potential and C mineralization increased with soil metal content. In brackish wetlands, denitrification potential decreased with increasing salinity and C mineralization increased with increasing organic matter, soil moisture, and ammonium. Our results highlight the potential for biogeochemical processes to recover after wetland restoration, along with complex interactions between these processes and chemicals in developed coastal landscapes. This research was funded by The Connecticut Sea Grant College Program (R/ES-26). 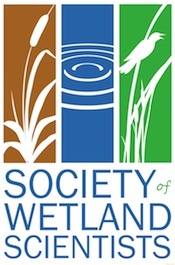 We thank Roger Wolfe, Paul Capotosto, Harry Yamalis, Ron Rosza, and Juliana Barrett for sharing information on Connecticut wetland history and management, and Mary Zawatski, Mary Schoell, Cristina Macklem, Jason Sauer, and Hongwei Luan for field and lab assistance, and two anonymous reviewers for comments that improved the manuscript.